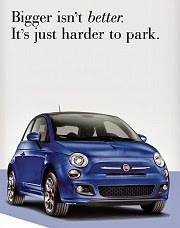 The 2012 Fiat 500 is an evolution of the award winning European car that was introduced in 2007. 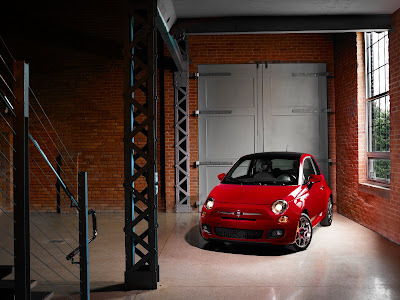 Every aspect of the new Fiat 500 has been examined by Fiat, improved and refined to keep 500 at the forefront of design and to adapt the car to the North American market. In this post, a first of two parts, we'll take a look at what was changed. The chassis of the current European Fiat 500 was derived from the Fiat Panda (which dates back to 2003). It was revamped in 2007 for use in the 500 and has held up very well. In Europe, the 500 is scheduled for a refresh in 2012, when it was expected to use a revised chassis from the 2011 Fiat Panda. Now, with the release of the North American Fiat 500, it appears our 500 has received the upgraded chassis ahead of its European cousin. This platform upgrade will give the North American 500 numerous advantages over the European car. The revised platform boasts significant improvements in torsional rigidity, strengthened crash structures and improved noise, vibration and harshness (NVH) characteristics. This has been achieved through the use of even more high strength steel when compared with the European 500 platform, reinforcing the side rocker panels, the rear cross member and frame rails. Additionally, the roof on the US Fiat 500 has been strengthened to better withstand US spec rollover crash tests and the reinforced rockers and side members will help cope with higher speed US rear and side impact tests. The suspension of the 2012 Fiat 500 has also undergone significant improvements compared with the Euro version. 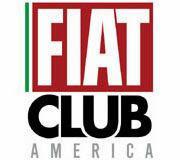 Fiat's goals were to keep the Fiat 500 nimble while delivering a comfortable and quiet interior cabin for highway driving. They achieved this by redesigning and retuning the suspension. 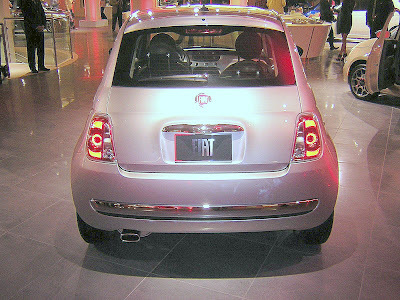 The red arrow points to the fuel filler hose on the European Fiat 500. Notice how this hose is out in the open. 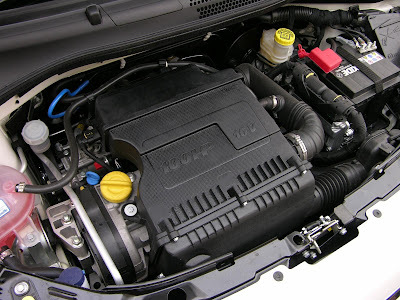 The US car above shows a hose relocated and less vulnerable. The yellow arrow shows the suspension travel. The US car appears to have more travel, which is always a good thing on rough roads. This helps contribute to a better ride. A re-engineered twist-beam rear suspension features re-tuned bushings and more built-in roll stiffness, delivering ride comfort and handling better suited for American roads. Here's another shot of the fuel hose on the 2012 Fiat 500. Hidden, detail changes like these illustrate how closely Fiat examined the 500 and the lengths they went to improve the already award winning design. The front-suspension features revised geometry which reduces brake dive and a larger front-stabilizer bar that tames body roll and adds to driver confidence and control. Also, the electric assist steering effort has been re-calibrated to increase stability at highway speeds especially during crosswinds. 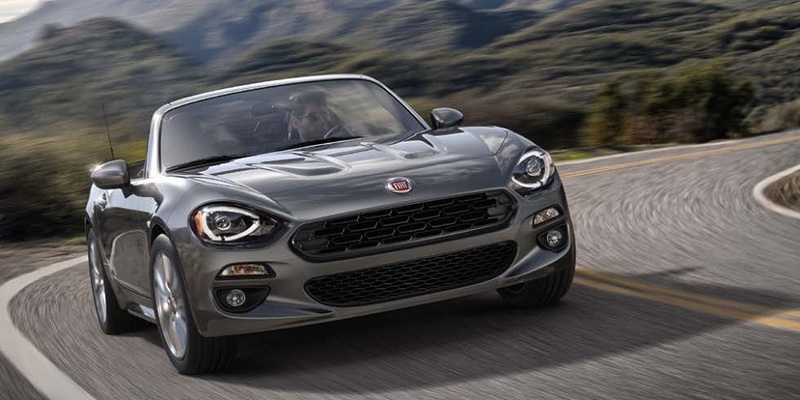 In addition, re-tuned struts/shocks and springs, an all-new structural sub-frame brace, upgraded upper-strut mounts, and re-tuned control-arm bushings make the NA Fiat 500 handle as well as the European car, but with a more comfortable and quieter interior. New all season 15-inch and 16-inch tires further reduce road noise. All this improved comfort and quietness is noticeable at highway speeds and is one area identified in the European car that needed attention. 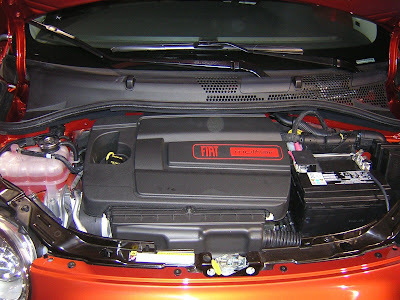 A new engine cover for the 2012 Fiat 500 absorbs noise...Nice! An all-new 1.4-liter MultiAir engine cover with an acoustic-dampening design minimizes engine noise intrusion into the cabin, and premium hydraulic powertrain mounts minimize engine vibrations. 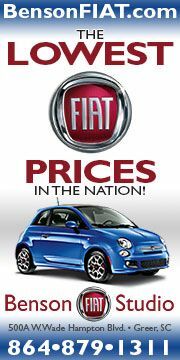 Additionally, the 2012 Fiat 500 has over 20 specific hardware modifications/additions for improved noise, vibration and harshness (NVH). An new, enlarged 10.5 gallon gas tank (the Euro 500 holds 9.25 gallons) is better suited for the longer distances Americans typically drive. 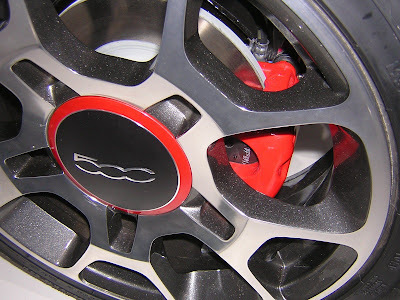 The wheel on the European Fiat 500 is similar but notice the spokes (or pockets) are not painted and there is no raised lip around the outer edge. The brake system of the Fiat 500 has always been cutting edge with four wheel anti-lock brakes (ABS), electronic brake distribution (EBD) and Electronic Stability Control (ESC) with Traction Control. 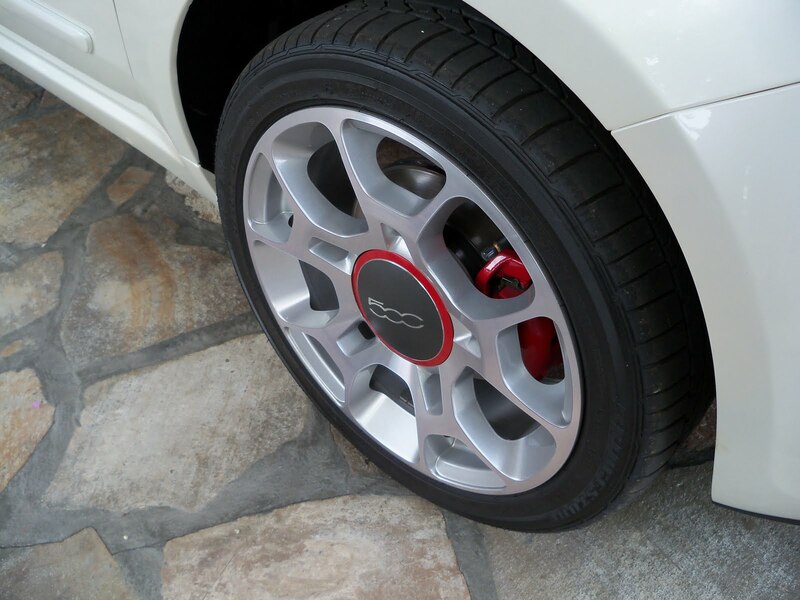 Now for 2012, the Fiat 500 brake system offers even better performance. New designed front calipers have better stopping power and brake pads made from an organic compound that reduce brake dust and noise. New brake rotors have an anti-corrosion coating that improves durability and offer smoother braking. All season radial tires... note the wheel lip protector. A revised electronic stability control (ESC) system is tuned for the Fiat 500’s new all-season tires. 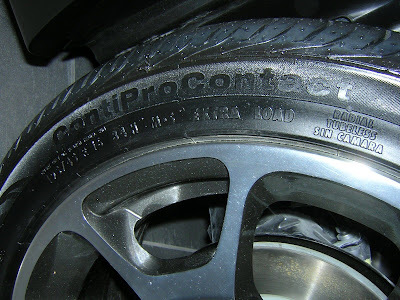 New wheels are designed to avoid unsightly curb rash from car-wash tire guides and feature painted accents. 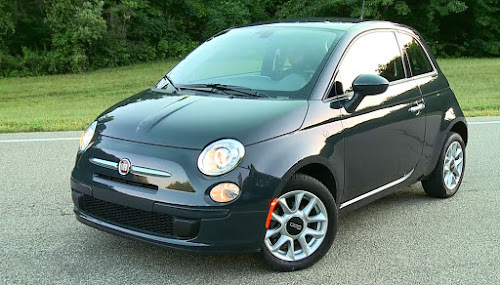 Even the windshield wipers on the 2012 Fiat 500 have been improved. They feature a better swept area and high quality all season blades. New windshield wipers feature an all season, flexible silicone uni-blade design. In addition, a new rear wiper is designed to protect against car-wash damage while providing a wider swept area. 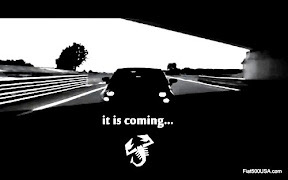 Keep an eye out for part 2 of this post, where we'll examine the other changes to the 2012 Fiat 500. A very nice look at the changes, sounds like they pretty much left as much unturned as they could, but do you know how much additional weight the US car gained, if any? I know the weight is around 2400# or so, I didn't hear what metric weight that translates to but if I recall, the Euro car was very light by today's standards, the Mazda 2 I think weighs in around 2300# or so. Fantastic post Chris! Thank you! These are all great new features! 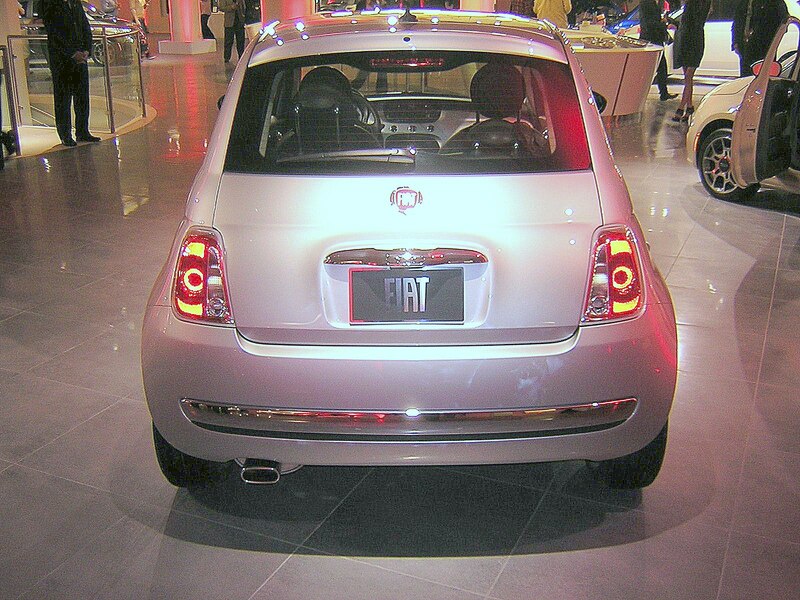 Our new Fiat 500 owners will be some of the most educated new car buyers on the road, thanks to all of your work! nice post. I do live in Brazil and the Mexican-built 500 will substitute the Polish-sourced one in mid-2011, with a lower price tag. unfortunately I don't believe Brazilian Fiat will make all U.S. options available here, but I hope they expand the current ones as Brazilian buyers can't even select the upholstery color - you can only choose between grey fabric and black leather. 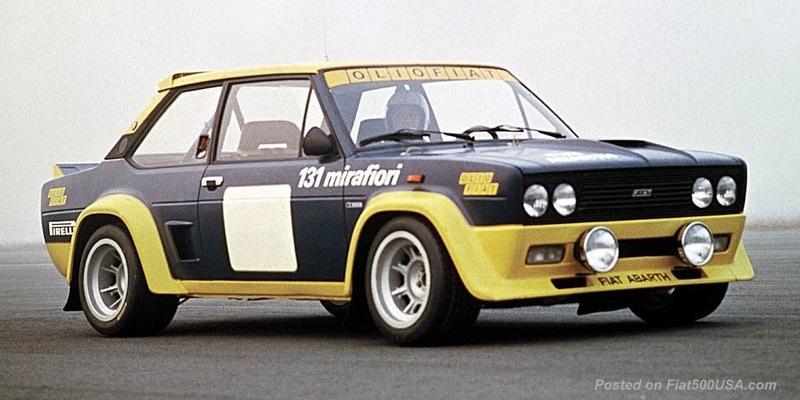 I'd really love to buy a customized 500 and it will depend on whether Fiat will made available here. anyhow, it's always great to learn what has been improved from the original model. Does anyone here know if the US model will have the "hill-holder" feature for the brakes? Are the windshield washer nozzles redesigned too? I know in the UK they are having problems with them. How much worse is the US mpg? Are they going to change the engine to get better mileage in the future?